According to the latest report from Flurry.com about Comparison between iOS Apps and Android Apps Revenue Sharing, it’s revealed that iOS Apps are much profitable in terms of revenue as compare to Android Apps. iOS Apps make four times higher revenue as compare to Android platform. 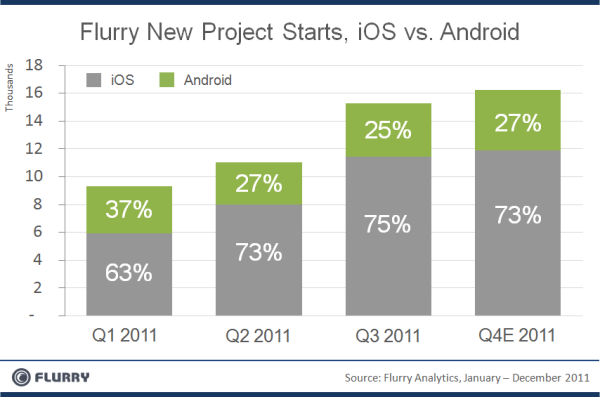 Flurry Analytics has also found that developers are choosing to start new projects on iOS over Android at a ratio of almost 3 to 1. 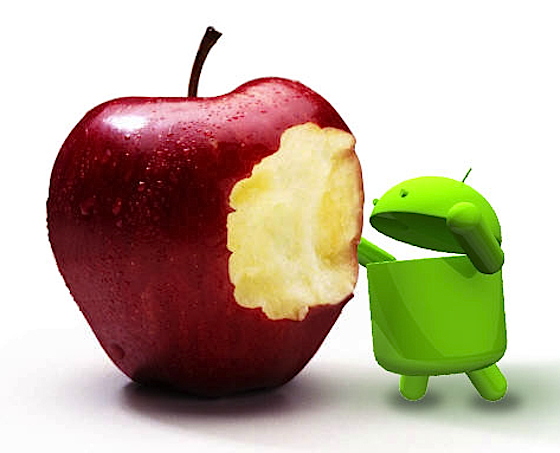 No doubt Android is an open source platform and many big phone maker companies like Samsung, Motorola, Sony etc. 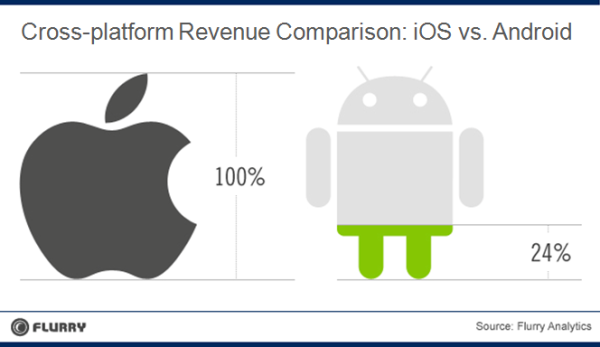 is now offering Android devices but the statistic makes it clear that Apple iOS is still more popular platform in terms of Apps Revenue as compare Android platform. I personally think that Android is new in smartphone arena and it has potential to gain more revenue as compare to any other platform including iOS and its popularity speaks itself that it has already beat its competitors when choosing Smartphones.